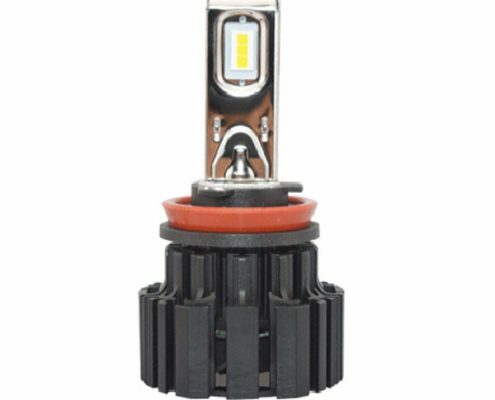 High power brightest automotive LED headlamp bulb 50w 6800lm 6000K for wholesale from reliable China manufacturer via competitive price, 200% brighter than halogen headlights but saving 70% power, 2 sides 360 degree SEOUL LED chips emits a super bright and clear beam pattern without any dark spots for upfront road and create safe visual driving experience, with one year warranty, suitable for Chrysler and other car brand. Please feel free to contact LVT any time if you have interests in our LED headlamps! 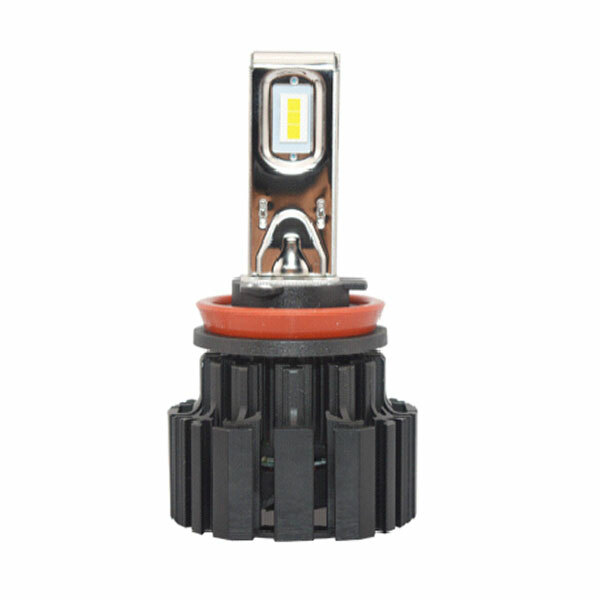 It has been a few years since the automotive industry was flooded with new types of lighting for headlights. 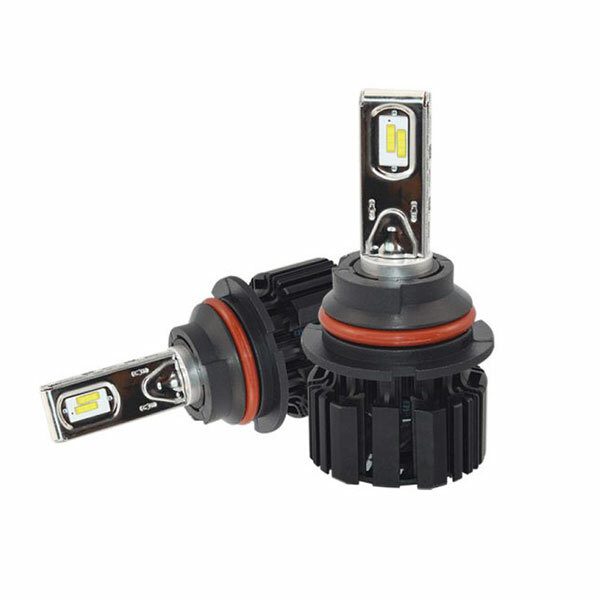 Halogen lighting has always been the chosen choice for many automotive companies. 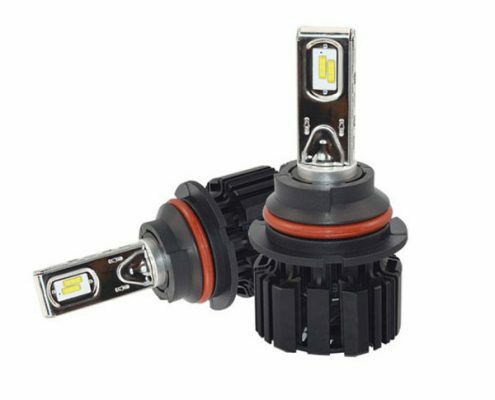 However, ever since new technology like the Light Emitting Diode (LED) and the High Intensity Discharge (HID) lighting has been introduced, halogen bulbs are being replaced as the top chosen choice for headlights. This is because such new technology have added benefits unlike the halogen bulbs. Halogen lights tend to waste energy. They do not convert the energy into light properly. Instead, halogen lights tend to convert 80% of that energy into useless heat. The rest of the 20% is converted into light. Plus, because of too much heat production and emission, it often causes the filaments in the halogen bulbs to melt. Which is why halogen lighting often bursts or dims and stops working suddenly without any reason. Which is why many automotive companies and customers are seeking for new replacements for halogen bulbs. To understand which type of lighting will be the best for your car headlights, you need to know the differences between them, how they work and how much energy they use. This type of lighting is, no doubt, the most popular of all. They are not only cheap to manufacture but they are also very affordable. They are even easy to replace on the car as well. The filaments of the halogen bulb are made of tungsten and halogen gas. The halogen gas is made by combining argon and nitrogen gas. The bulb starts lighting up as electricity reaches the filaments and heats the filaments up to a temperature of 2500 degree Celsius. The tungsten begins to glow which helps produce the light. The heat from the filament will not harm your car so you do not have to worry. Light produced by halogen bulbs is fairly very normal and not so bright. They can produce a colour temperature of up to 3200K to 5000k. However, the amount of warm and white light which these lights produce is enough to satisfy a regular driver. After anywhere after 800-1000 hours, the halogen bulb starts dimming. This is usually due to the fact that the tungsten filaments have run their course and melted or evaporated. Halogen lights are very sensitive to excessive heat. Halogen bulbs have always been widely available. Since before the idea of LED and HID bulbs were even thought of, halogen bulbs were leading the market and always preferred. If you’re not a frequent driver, halogen bulbs are the practical choice. HID stands for High Intensity Discharge. These were the first lights to challenge the dominance of halogen bulbs. However, these lights are still a mystery to many automotive companies and customers. HIDs are also often referred as Xenon, the gas which is used to light up the bulb. These lights are much preferred for their bright white light and the high intensity of the lights. HID bulbs have a gas filled tube with electrodes on both sides. A current passes through the electrodes which help stimulate the xenon gas. High voltage helps ionise the xenon and a current is sent between the electrodes. The halide gases are vaporised and are then sustained by the bulb for lighting. With HID bulbs, the lighting intensity is extremely strong which is a plus point. However, it can often blind oncoming cars. Plus, they cost more than halogen bulks. However, that much is justified since they produce light which is double the amount and intensity as that of a halogen. HID headlights also use less energy as compared to halogen bulbs. Of course they need a burst of energy to power up. Once it is powered, the usage of energy reduces. HID lights also last twice as long as halogens. Halogens may be the most popular but LEDs are the most raved-about and sought after lighting as headlights. The way they generate light is the most unique process of all. Negative electrons usually runs against holes to produce a light emitting diode. If a negative electron enters a low energy hole, a photon is produced. This process is what helps the LED bulbs to give and produce light. LED bulbs are the most efficient lighting in the market. They used to be very expensive but with the increasing demand for various products to be sustainable and safe to the environment, LED lighting has become affordable. LED lights do not produce a harsh glare like HID lighting and last longer than halogens and HIDs. LED lighting, however, heats up the assemblies beside it. The light from LEDs is extremely bright and quite far reaching. It challenges the light intensity of HIDs and halogens. The best part about LEDs is that they use less energy to provide bright light which is soft to the eyes. Which is why people who want to save energy tend to choose LED lighting. Unlike HIDs, they instantly light up when electricity is provided. LED lights are very convenient and very small in size. The only disadvantage of LEDs is that they heat up quite fast. However they are still designed to handle the heat. Laser lighting is the most recent innovation in the market. These laser lighting are actually very safe to use and not at all like the harmful lasers. The laser lighting for headlights is created by phosphor. Such lighting is extremely efficient however, laser lighting is not yet legal in the USA. Apart from that, they are also extremely expensive and generate a lot of heat. Laser lighting does, however, produce 10 times the amount of lighting than LEDs bulbs and use just half the amount of energy. Which is why they are very energy efficient. Colour range is quite different and changeable according to the weather as well. All in all, it can be concluded that LED lighting is the best option.